Today I’m sharing a project that I’ve been meaning to post about forever – two years to be exact. 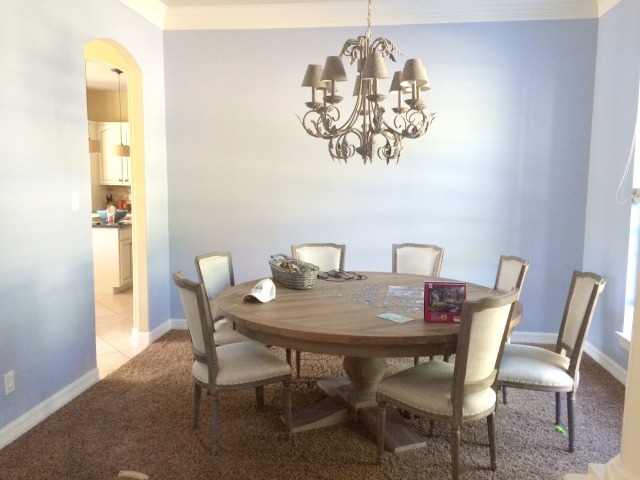 Introducing Olivia’s dining room makeover! 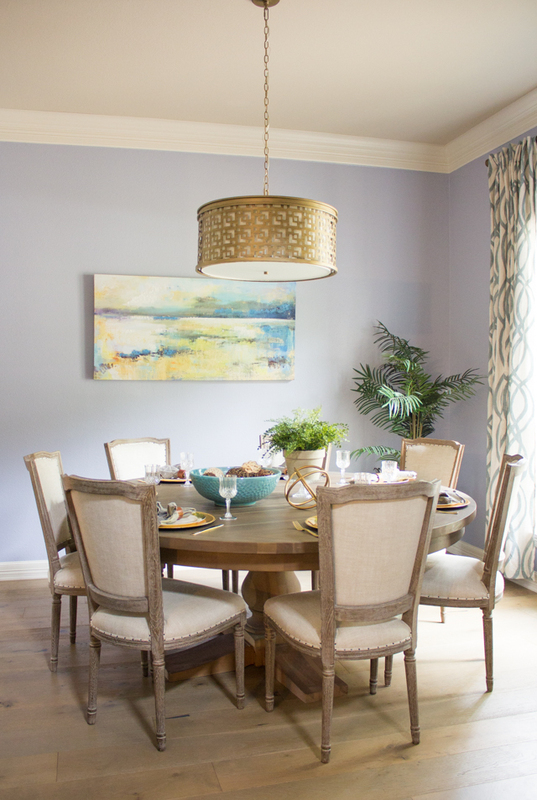 Olivia is my sweet neighbor and friend who entrusted me to help design her dining room back in 2016. You may remember I used to do a fair amount of room designs for clients. Most of them lived in other parts of the country so I never got to see how their spaces turned out once I handed over the design. However since Olivia lives just down the street from me, I got to see the room come together firsthand! 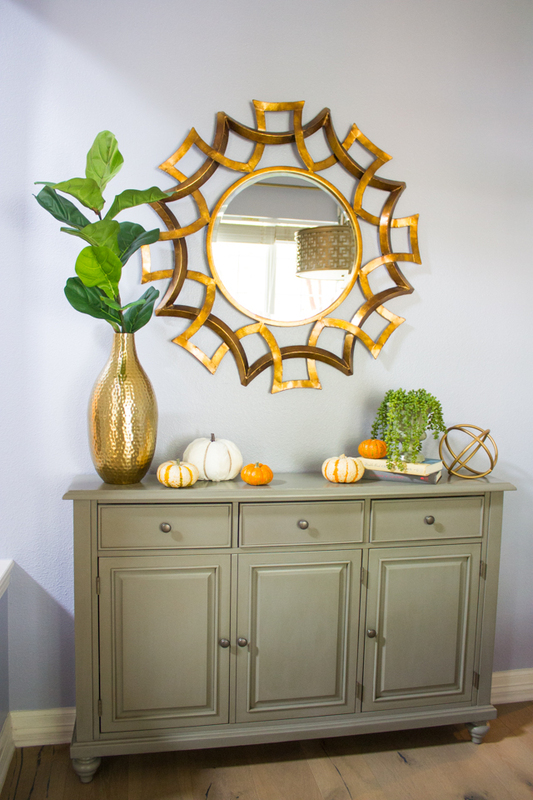 Read on to see more of this pretty space. Below is the design I developed with input from Olivia. 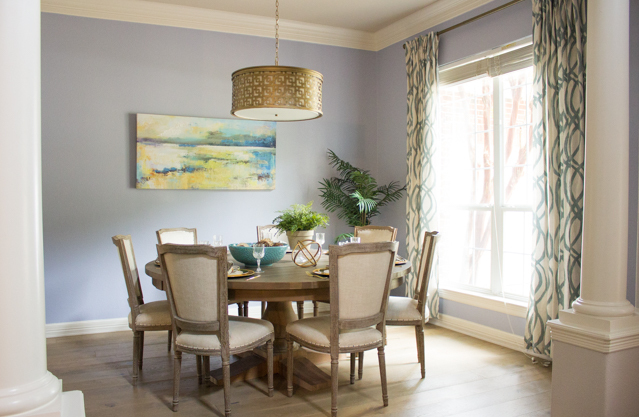 We kept the blue wall color and found art and accents that played off that pretty and serene hue. It was pretty awesome (and a little scary!) when she started purchasing nearly every single piece I recommended in my design! 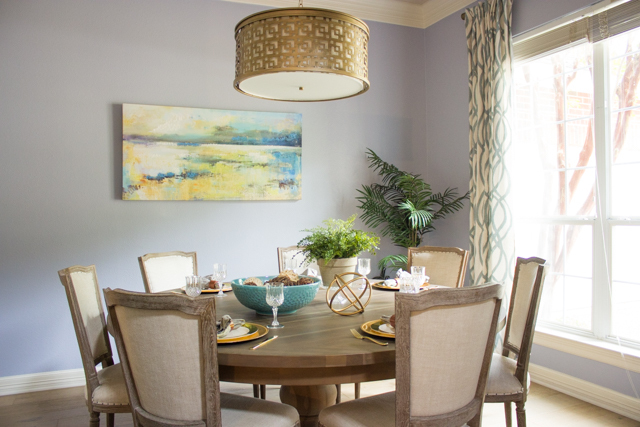 The new lighting fixture makes all the difference in the room. Olivia also replaced the brown carpet with gorgeous new wood floors since we did the project. We didn’t stop at the dining room! 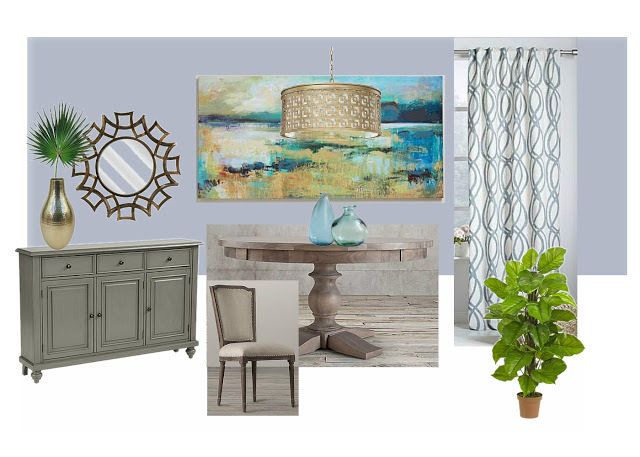 I was recently back at Olivia’s house to create a new design plan for her living room. This time I enlisted the help of a new online design service called Modsy. They recreate your room in 3D and their designers hand select furniture for your space from well-known brands based on your style preferences. I can’t wait to show you more tomorrow!